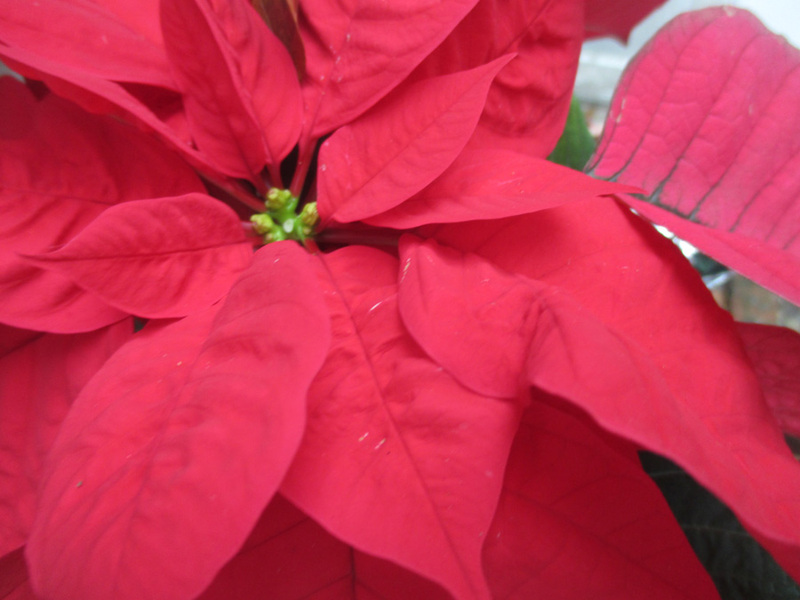 Poinsettias originated in Mexico, but they’ve become a standard part of Christmas in the United States. While bright red is probably the most familiar color, the plants come in other shades including pink, white, burgundy, marbled and speckled, and today there are more than 100 varieties. It was the first United States ambassador to Mexico – Joel Roberts Poinsett – who is credited with introducing the plant to the U.S. Poinsett was also a botanist and physician. He sent cuttings to his home in Charleston, S.C., in 1821. Theses days December 12 is designated Poinsettia Day and marks the death of Ambassador Poinsett in 1851. In Mexico the perennial is a shrub that can grow to 10 to 15 feet high. In the U.S. especially outside semitropical areas such as Florida, people just struggle to keep them alive during the holidays. About 70 percent of all Poinsettias bought in the U.S. come from a ranch in California, according to a fact page from the University of Illinois. The colored portion that most of us think of as flowers are in fact what botanists call colored bracts or modified leaves. Those yellow flowers in the center are known as cyathia. Poinsettias go by a number of names. The Aztecs called them Cuitlaxochitl, which means “flower that grows in residues or soil.” They used the plant to make a reddish purple fabric dye and to control fever. In Mexico and Guatemala today the Poinsettias are known as La Flor de la Nochebuena — Flower of the Holy Night or Christmas Eve. People in Chile and Peru known them as the “Crown of the Andes”. In Spain Poinsettias are displayed for an entirely different holiday, Easter, and are known as Flor de Pascua or Easter Flower. According to the University of Illinois, the plants aren’t poisonous. They cite an Ohio State University study that showed a 50-pound child would have to eat 500 to 600 leaves to get any side effects and those were most likely to be upset stomachs and vomiting. Still, they can be a choking hazard for both children and pets. Poinsettias in the U.S. today are the basis of a $250 million plus business. What makes that especially ironic is that when Poinsettias grew in the wild they were considered weeds. Makes it a little easier to throw out a plant that doesn’t make it.